 New York motorcycle dealership Hudson Valley Motorcycles announces support for James Rispoli and Corey Alexander in the east coast based 2019 American Flat Track rounds. Based in Ossining, New York since 1966, Hudson Valley Motorcycles has supported amateur and professional racers for over 50 years, across all disciplines - from motocross to roadracing, and now flat track. Hudson Valley Motorcycles, one of the oldest remaining Kawasaki retailers in the United States, will be supporting the duo with 2019 Kawasaki KX-450F’s to compete in five to eight rounds of the AFT calendar. First, and most importantly, #RideHVMC Freeman Racing Ducati would like to thank all of the fans who turned out for the season finale at New Jersey Motorsports Park, especially those who helped drive our fundraiser by purchasing t-shirts for the 9/11 Memorial Foundation. Everyone at #RideHVMC Freeman Racing Ducati was thrilled with the response from the fans and the paddock, and the tremendous support shown over the weekend. The expanded presence of Ducati North America who brought along some of their historic racing machines and put them on display under the canopy excited many fans in attendance. The special #RideHVMC Freeman Racing Ducati 9/11 tribute livery on the #23 Panigale R was very well received, alongside the custom leathers Corey Alexander wore over the weekend made by Spidi Sport for the race weekend. The #RideHVMC Freeman Racing Ducati team would like to thank Jon Freeman and MJRS Freeman Racing for the incredible opportunities and continued partnership over the course of the 2016 MotoAmerica season. The passion and unwavering confidence in the program has helped the entire team make tremendous progress. That #RideHVMC Freeman Racing Ducati has been able to achieve what it has to this point is due in large part to a great relationship, and we look forward to what the future will bring! Arriving at New Jersey Motorsports Park, the #RideHVMC Freeman Racing Ducati team knew it had a lot of work to do. Having only been to the track six times - four race events and two test sessions - set up data for the engine and the chassis were lacking. Friday’s practice sessions saw Corey Alexander make steady progress with some changes to previous setups. Unfortunately in Saturday morning’s qualifying session Corey had a big crash with the #23 Panigale R that not only damaged the motorcycle quite heavily, but also beat up Corey’s body. After attempts to repair the “A” bike, Corey mounted his “B” bike for the first race. Despite being in quite a bit of pain and discomfort, Corey began to move forward through the field and bring his lap times down. Corey managed to finish eleventh in the first Bazzaz Superstock 1000 race. The second race saw more difficulty for Corey, who chose to pull out of the race in fourteenth position. Reached for comment, Corey Alexander stated that “coming into this weekend the whole team had put in a tremendous amount of work so I had really high expectations for a good result. Right off the bat I struggled with set up and regardless of the changes we made, ultimately we could not find a set up to run the very competitive pace the front runners were racing at. Though the results don't show our progress, every time we ride we learn more about the bike. Hopefully we will continue to make steps towards knowing what exactly it takes to make the #23 Panigale R competitive with the top five competitors - which is where we ought to be. I was very proud of our entire Ducati set up and more specifically our special 9/11 tribute livery that so many enjoyed. It was amazing to see all of the support at the track and elsewhere. Special thanks to my whole crew, all of my sponsors, specifically Spidi, Arai, and Boxed water, uncle Richie, and the entire Freeman family for yet another exciting year full of memories. Till next time!” Corey’s personal sponsors include: American Kargo, Arai Helmets, Boxed Water Is Better, Defy All Odds Apparel, JP43 Training & STAR School, Lapizta Watches, Outdoor Tech, Spidi Leathers, and XPD Boots. Follow Corey on social media via instagram.com/corey23alexander, twitter.com/corey5alexander, and facebook.com/corey23alexander! Team Principal Richie Alexander Jr stated “we did not have the end of season race that we had hoped for, which is unfortunate. The entire #RideHVMC Freeman Racing team worked extremely hard to give Corey the bike he was looking for, and we just came up a little short. Corey had a big get-off in qualifying, which damaged the A bike badly, as well as his body, which put us behind where we needed to be on race day. On the positive side, the 9/11 tribute bike was a great success, paying respect to the fallen and the FDNY. We would like to thank Ducati North America for allowing us to work under their canopy, and for bringing back their presence in the MotoAmerica paddock for New Jersey round. We would like also to thank all the friends, family, customers and fans that came to support the #RideHVMC crew. Most of all we would like to thank Jon Freeman from MJRS Freeman Racing for all his support - without him #RideHVMC would not exist!” #RideHVMC Freeman Racing Ducati team sponsors include: Hudson Valley Motorcycles, MJRS Freeman Racing, Akrapovic, Armour Bodies, Beta Tools, Chicken Hawk Tire Warmers, CNC Racing, Design Star, K-Tech Suspension, LJ Painting, MOB Racing, New Rage Cycles, Orient Express, Signs Ink, Sprint Filter, Superlite Sprockets, TrakTape, Vesrah, Videri, and Zero Gravity Windscreens. #RideHVMC Freeman Racing Ducati is actively seeking additional partners for the 2017 season and beyond. If you have any interest in learning more about our program and its future plans, please contact us via email - info@ridehvmc.com! #RideHVMC is the home of all things rad by Hudson Valley Motorcycles, a family owned Ducati dealership in Ossining New York, celebrating its 50th anniversary in 2016. As lovers of two wheeled machines, we often find ourselves engulfed in a huge variety of activities which range from our own race team, custom bike builds, and assorted events and track schools. #RideHVMC was founded so we could share our passion for the sport and ongoing projects with all of our friends and fans in one place! #RideHVMC will give you insight into what is going on at Hudson Valley Motorcycles on a day-to-day basis. #RideHVMC is not a company, nor is it a traditional brand. It is our family, and you're invited to join us at the dealership, the racetrack, or on the streets and backroads! Please visit www.hudsonvalleymotorcycles.com and www.ridehvmc.com to learn more. Arriving at Road America in Elkhart Lake, Wisconsin, the #RideHVMC Freeman Racing Ducati team knew they would need to work hard to find a setup for the #23 Ducati Panigale R in dry conditions. Corey Alexander had precious little time with the Panigale R in the dry, but managed two podium finishes in the wet at New Jersey Motorsports Park, a great display of riding skill and the technical abilities of the bike. After a crash in the first practice session at Road America, the challenges began for the #RideHVMC team. Making repairs to the bike ate up valuable time into the second practice, and that session revealed electrical gremlins that the team would chase the rest of the weekend, hidden damage that was difficult to diagnose. Everyone agreed to push forward, using the dry track time for more testing and to help Alexander gain confidence with the Panigale R in the dry. Later a mechanical problem forced Alexander to retire his Panigale R. The team will seek additional testing time before returning to competition at Miller Motorsports Park in just over two weeks time. Corey Alexander was stoic with regards to Road America, stating that “this weekend did not go as expected but that is part of racing especially when riding a new bike. Every time we ride the #RideHVMC Freeman Racing Ducati Panigale R we learn more about what it does and does not like. Additionally, we had a little bit of bad luck -- it's unfortunate but hopefully we will get a chance to test before Miller and make some more progress towards being competitive in the dry. Thanks to the #RideHVMC team for all of the hard work and all of our sponsors for the support. See you in a few weeks at Miller!” Corey’s personal sponsors include: American Kargo, Arai Helmets, Boxed Water Is Better, Defy All Odds Apparel, JP43 Training & STAR School, Lapizta Watches, Outdoor Tech, Spidi Leathers, and XPD Boots. Follow Corey on social media via instagram.com/corey23alexander, twitter.com/corey5alexander, and facebook.com/corey23alexander! #RideHVMC Freeman Racing Ducati team sponsors include: Hudson Valley Motorcycles, MJRS Freeman Racing, Akrapovic, Armour Bodies, Beta Tools, Chicken Hawk Tire Warmers, CNC Racing, Design Star, K-Tech Suspension, LJ Painting, MOB Racing, New Rage Cycles, Orient Express, Signs Ink, Sprint Filter, Superlite Sprockets, TrakTape, Vesrah, Videri, and Zero Gravity Windscreens. #RideHVMC Freeman Racing Ducati is actively seeking additional partners for the 2016 season and beyond. If you have any interest in learning more about our program and its future plans, please contact us via email - info@ridehvmc.com! #RideHVMC is the home of all things rad by Hudson Valley Motorcycles, a family owned Ducati dealership in Ossining New York, celebrating its 50th anniversary in 2016. As lovers of two wheeled machines, we often find ourselves engulfed in a huge variety of activities which range from our own race team, custom bike builds, and assorted events and track schools. #RideHVMC was founded so we could share our passion for the sport and ongoing projects with all of our friends and fans in one place! #RideHVMC will give you insight into what is going on at Hudson Valley Motorcycles on a day-to-day basis. #RideHVMC is not a company, nor is it a traditional brand. It is our family, and you're invited to join us at the dealership, the racetrack, or on the streets and backroads! Please visit www.hudsonvalleymotorcycles.com and www.ridehvmc.com to learn more! Image by Brian J. Nelson - use with photo credit only please! #RideHVMC Freeman Racing Ducati is looking forward to continued racing success this weekend at Road America. Corey Alexander will ride his #23 #RideHVMC Ducati Panigale R for the team’s second event of the 2016 MotoAmerica season this weekend at the famed road course in Wisconsin. The team opted to sit out the previous round at Virginia International Raceway, after scoring double podium finishes in the debut weekend at New Jersey Motorsports Park. This weekend’s event at Road America promises to showcase the talents of Alexander and the power of the Ducati Panigale R platform. Road America rewards precision, as well as horsepower - two areas where the #RideHVMC Freeman Racing Ducati Panigale R shines! We encourage you to watch the racing action through www.BeInSports.com with your local television provider or online via their website. Corey Alexander has been working hard since his double podium finishes at New Jersey in the intense MotoAmerica SuperStock 1000 class. Commenting about Road America, Corey stated "I’m really excited to be back on the bike this weekend. It was unfortunate to miss the last round but we've made more progress on the bike and am excited to see the results." Corey’s personal sponsors include: American Kargo, Arai Helmets, Boxed Water Is Better, Defy All Odds Apparel, JP43 Training & STAR School, Lapizta Watches, Outdoor Tech, Spidi Leathers, and XPD Boots. Follow Corey on social media via instagram.com/corey23alexander, twitter.com/corey5alexander, and facebook.com/corey23alexander! Brian J. Nelson Image - Please provide photo credit if used. In my latest adventure I had to take a last minute trip from Colorado to New York. I flew to Denver where I met my Canadian buddy Josh who volunteered to make the haul with me. This was part of a week long thrash to make it to the MotoAmerica round at NJMP. 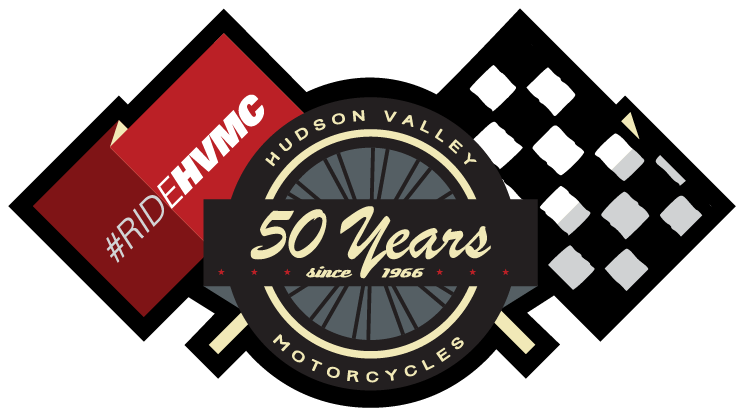 Hudson Valley Motorcycles Celebrates 50 Years In Westchester County New York! Join Hudson Valley Motorcycles on Saturday, May 21st from 11am to 3pm to celebrate our 50th anniversary! Hudson Valley Motorcycles welcomes our dedicated, loyal, and passionate customers from Westchester County and all around the tri-state area for a BBQ party with food and refreshments provided. Please bring your family and your friends - all are welcome and encouraged to attend! Founded in 1966, Hudson Valley Motorcycles began in Ossining, New York after Richard Alexander Sr. returned from military duty overseas. Hudson Valley Motorcycles quickly added Kawasaki and Suzuki motorcycles in the summer of 1966, and then moved to North State Road in Briarcliff Manor. In 1970 the dealership relocated to Millwood, New York where it resided for thirty-six years, until 2006, when Hudson Valley Motorcycles returned to Ossining at it’s current location - 179 North Highland Ave. in Ossining, New York. In 2013 the dealership expanded by adding Ducati motorcycles and becoming the only Ducati dealer in Westchester County, and quickly became one of the top Ducati dealers in the country and region! Hudson Valley Motorcycles is a family owned and operated local business, with three generations of the Alexander family currently working at the dealership. Most employees have been a part of the dealership for many years as well, and contribute greatly to the family feel of the dealership. From the very early days of the business, Rich Sr. organized local customers and racers into a Hudson Valley Racing motocross team. That tradition continues today with #RideHVMC customers attending track days, riding schools, local club races, and professional road racing events. Richard Alexander Sr. has enjoyed the business and relationships he has built over the years, stating “it seems like yesterday we were just settling in at the Millwood shop. I’d like to say thanks to all the friends and customers who have supported Hudson Valley over the years. We’ve been fortunate to see families grow and generations of riders pass through our doors. I hope to see you on Saturday the 21st!" As one of the largest dealerships in the metropolitan New York region, Hudson Valley Motorcycles offers new motorcycles and ATV’s from Kawasaki, Suzuki, and Ducati, alongside a wide selection of pre-owned machines as well. The award-winning service department has extensive training on the latest machines, as well as decades of experience with vintage bikes and four-wheelers. The parts department carries a broad selection of helmets and riding gear for all your adventures, as well as all the sundries and supplies for your garage. Original equipment factory parts and aftermarket accessories from the best suppliers are sourced from around the world, with deliveries daily! For more information regarding Hudson Valley Motorcycles, we encourage you to stop by and say hello! You can also visit our website at www.hvmotorcycles.com, join us on FaceBook at www.facebook.com/hvmotorcycles and www.facebook.com/RideHVMC and please make sure to follow us on Twitter and Instagram via @hvmotorcycles and @RideHVMC. Please give us a call on the phone via 914.762.2622 to speak with us today! Regular business hours are 9am to 6pm Tuesday, Wednesday, and Friday; 9am to 9pm on Thursday; 9am to 4pm on Saturday; and closed Sunday and Monday. Image below - from left, Duane Alexander, Corey Alexander, Richie Alexander Jr., and Rich Alexander Sr.
Corey Alexander and the #RideHVMC Freeman Racing Ducati team take on their first ever MotoAmerica Superstock 1000cc event. After a rainy weekend Corey took home a second & third place finish in the Superstock class and a fifth & sixth place finish overall in the Superbike class. Stop by May 21st at HVMC to celebrate our 50th! Serving Westchester County and the Hudson Valley for 50 years! Yes, you're reading correctly. We've been serving Westchester County and the Hudson Valley for 50 years this May! 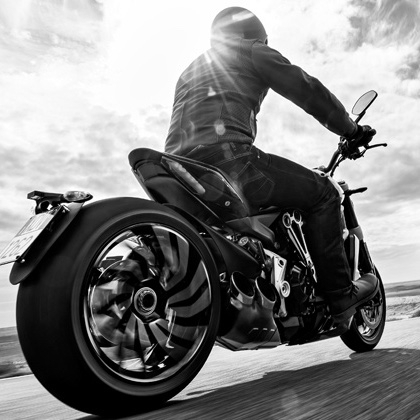 Take a ride over to the dealership May 21st and share your favorite HVMC stories. Celebrate our 50th year in business with the whole HVMC family. Take advantage of great deals! Interested in all of the hype about the various Ducati models we offer? This is your opportunity to stop by and give them all a test ride! Call for info. The #RideHVMC Freeman Racing team takes on the 4th round of the MotoAmerica series. Catch the action live on the beINsport channel. Alexander Scores Double Podium @ NJMP in ‪#‎RideHVMC‬ Freeman Racing Ducati Debut! Corey Alexander and the new #RideHVMC Freeman Racing Ducati team impressed the entire paddock this weekend at New Jersey Motorsports Park for round three of the 2016 MotoAmerica race season in cold and wet conditions. Alexander was able to move through the combined Superbike and SuperStock 1000 field from his 17th place starting grid position on his #23 Ducati Panigale R to finish second in race one, and sixth overall, riding with skill and smoothness despite challenging conditions. Race two saw Alexander again move forward to finish third in SuperStock 1000, and fifth overall on the Panigale R. Corey’s pace was as fast as the race leaders, a comfortable two to three seconds a lap quicker than the rest of the field once he had distanced himself mid-race. Special thanks to Brian Sharp and his crew for building a great bike in such a short time frame before the race, and for the support provided. Additional thanks to Steve Saucier and Tim Warners for technical assistance and crew duties this weekend. Thanks also to our entire #RideHVMC family, especially those who made it down to NJMP and supported the team effort! Scoring two podium finishes in his return to racing, on a new bike, with a new team, shows that Corey Alexander has serious potential to succeed this season. Corey stated "I think it's safe to say we exceeded our expectations. I've always put a lot of pressure on myself to do well. As a team, we went into this weekend as if it was just a test and we ended up leaving with two podium finishes. Most importantly we kept the Ducati Panigale R off the ground in tough conditions, and learned quite a bit about the bike. I can't thank Richie, Jon, and Brian enough, as well as my whole HVMC family for making this all possible. It really has been a family effort. I'm excited to head to Road America in a few weeks, one of my favorite tracks. Thanks to all of the team sponsors and all of my personal sponsors for taking great care of me!” Corey’s personal sponsors include: American Kargo, Arai Helmets, Boxed Water Is Better, Defy All Odds Apparel, JP43 Training & STAR School, Lapizta Watches, Outdoor Tech, Spidi Leathers, and XPD Boots. Follow Corey on social media via instagram.com/corey23alexander, twitter.com/corey5alexander, and facebook.com/corey23alexander! Team manager Richie Alexander stated that “I’m totally ecstatic with how the #RideHVMC team performed, as well as how the crew came together and worked so well together. Corey has clearly elevated his riding, and is ready to show everyone what the Ducati Panigale R is capable of, and we are looking forward to some dry testing and racing! Huge thanks to the Freeman Family for all their help to make this possible!” #RideHVMC Freeman Racing Ducati team sponsors include: Hudson Valley Motorcycles, MJRS Freeman Racing, Akrapovic, Armour Bodies, Chicken Hawk Tire Warmers, CNC Racing, Design Star, K-Tech Suspension, LJ Painting, MOB Racing, New Rage Cycles, Orient Express, Signs Ink, Sprint Filter, Superlite Sprockets, TrakTape, Vesrah, Videri, and Zero Gravity Windscreens. #RideHVMC Freeman Racing Ducati is actively seeking additional partners for the 2016 season and beyond. If you have any interest in learning more about our program and its future plans, please contact us via email - info@ridehvmc.com! MotoAmerica's Jonathon Green interviewed our very own Corey Alexander at New Jersey Motorsports Park where they talked about exactly what we have going on here over with the #RideHVMC Freeman Racing Ducati team! Take a watch..